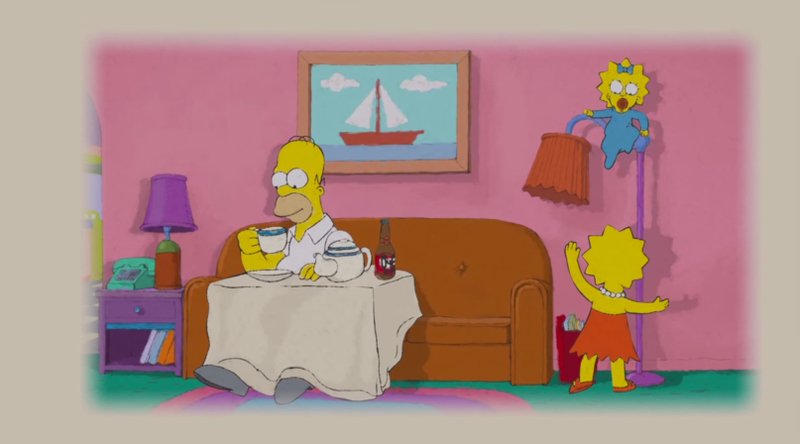 So far there have been 26 seasons of The Simpsons, and they never fail to come up with a clever “couch gag” in every episode — one of the many reasons why they’re still running strong. There have been art deco takes, spoofs on “The Harlem Shake” and Breaking Bad, and directorial debuts from Banksy and Don Hertzfeld. The newest addition to their reel? A very yellow take on Cat Stevens’ iconic 1970 album Tea For The Tillerman. The clip sees The Simpsons replicating the album artwork while other Springfield residents act out a literal interpretation of the album’s title track as it plays instead of the standard opening music. It’s a tasteful spoof that’s clearly done with loving hearts. The creators will probably see Stevens on his first tour since 1976. This may be our favorite Simpson news since they hilariously apologized for mislabeling Judas Priest “death metal”…maybe.